KERONE is pioneer in designing and manufacturing the tray dryers for various process demand of our client. 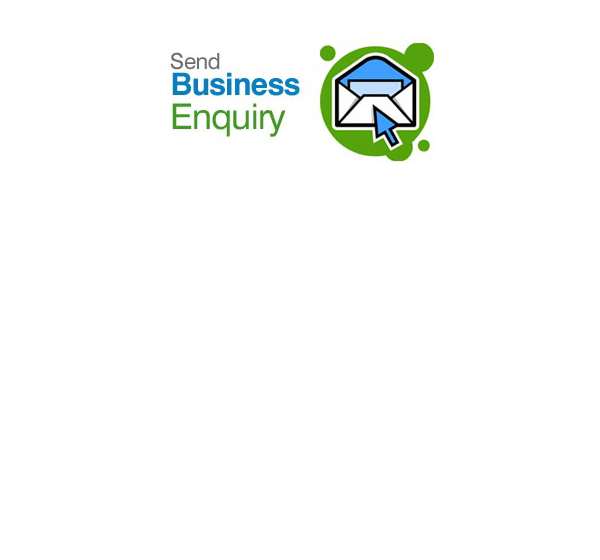 We are helping our clients with our engineering solutions since last 40 years, our huge experience and commitment to quality had made us the first preference of clients for their need of heating, drying or cooling. 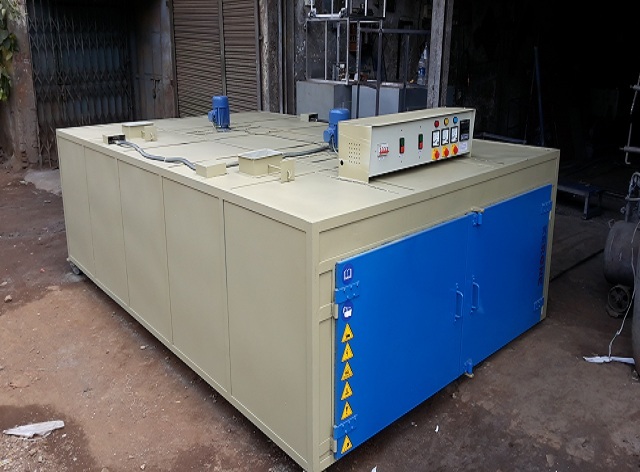 Till now we have manufactured various types of tray dryers by keeping need of client at front. 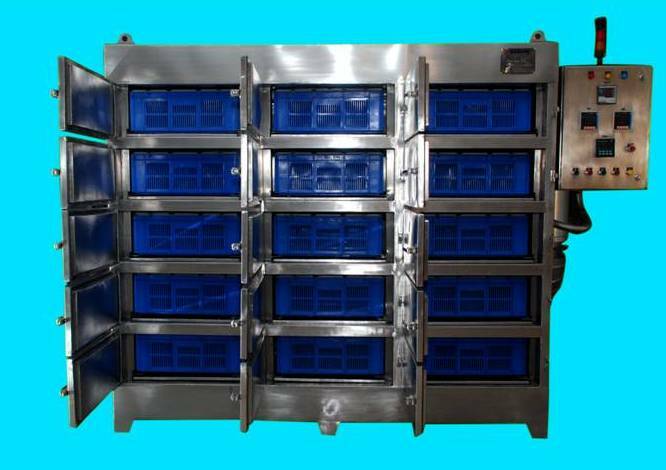 We hold proficiency in designing and manufacturing tray dryer. Manufactured by our team of experts, these dryers are highly cherished by the pharmaceuticals, foods, chemicals and other Industries. 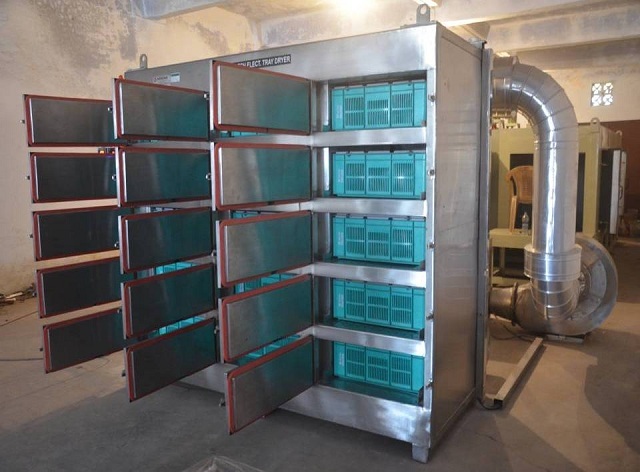 Tray Dryers are used for drying in conventional process and delivers the best result. 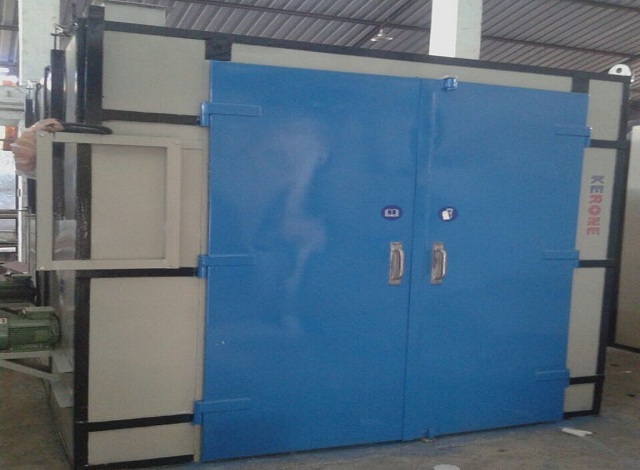 It is constructed as double walled cabinet having one to two doors. High density fiber glass wool insulating material is filled between the gaps of two walls to avoid heat transfer. The doors are provided with gasket and the stainless steel trays are placed on the movable trolleys. 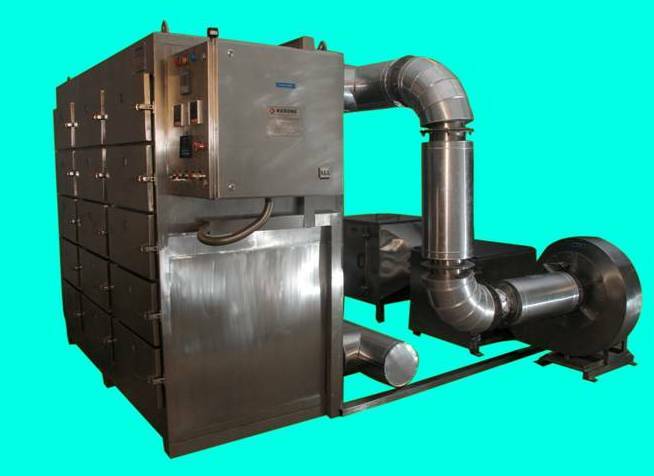 The air circulation is provided by the dynamically placed axial flow type blower fans in the drying chamber, during the process. Control panel is provided with process timer, digital temperature controller and indicator lamp etc (Circular Chart recorder is provided at an extra cost and on demand). 6, 12, 24, 48, 96 and 192 trays. Standard and GMP models are available with SS 304/SS316/ MS internal and external. Stainless steel tray is available in SS 304/ SS 316 quality. Air Circulation: The special design of the Blower maintains homogeneous air circulation so that there is homogeneous air current over the entire charge loaded in the trolley inside the dryer. The working of the motor is indicated by lamps in the control panel.